At the Urban Pantry, you will have access to free tastings, a chance to see some of South Australia’s top producers and iconic food brands. 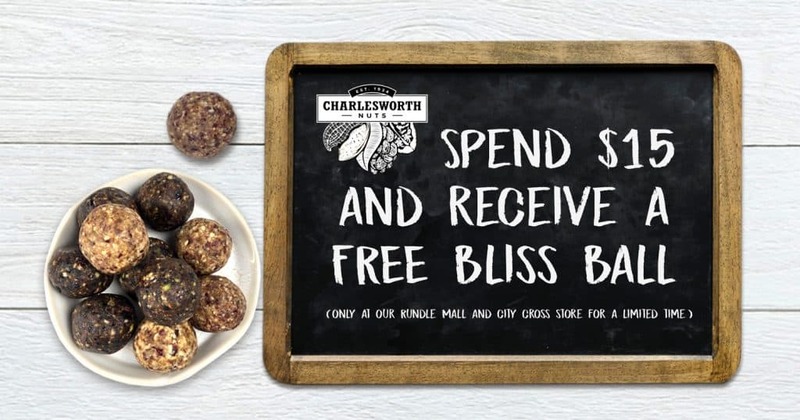 Charlesworth Nuts is thrilled to be involved again this year…We will be doing free samples of our Dry Roasted Deluxe Mix and our Aunty Helen’s Rocky Road Clusters; so come along & enjoy some South Aussie treats. Head into our Rundle Mall store and get a free Bliss Ball when you spend $15 or more. You will also receive a special TASTE Rundle Mall token so you can go in the draw to WIN the Ultimate Getaway prize! Event: Celebrating 85 Nutty Years!